When the Music Stops: Dance On is the beautifully written sequel to the enchanting first book, 84 Ribbons. Readers follow Marta as she continues to recover from her ankle injury and as she struggles to make tough choices about her future professionally and romantically. Marta returns home after her devastating injury. She spends much of her time in deep depression over the loss of a professional dance career. When her mom finally convinces her to visit Mrs. Holland at the dance studio, Marta discovers a brilliant opportunity awaiting her. However, she must make some difficult choices, ones that will effect the rest of her life. Will Marta uncover the happiness that has been there all along? The continuation of Marta’s life after professional ballet is a heartwarming story of self discovery and personal growth that ultimately leads to a fulfilling life full of new hopes and dreams. When the Music Stops: Dance On is a wonderful sequel to the author’s first book, 84 Ribbons. I greatly enjoyed Marta’s story as she experienced the ups and downs of growing up and rejoiced when she blossomed into a confident young woman with a bright future. The array of characters are complex and well developed and the writing flows gracefully across the pages easily captivating readers. 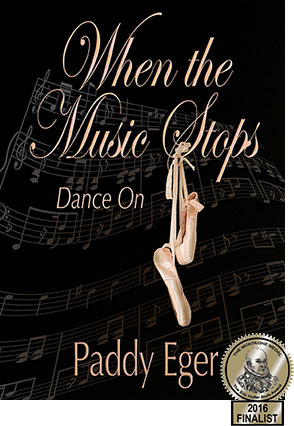 I have waited ALMOST an entire year for the sequel When the Music Stops by Paddy Eger. It was well worth the wait. I read the entire book in one sitting today…my Kindle app says that it took me about 3 hours. I am obviously off my game reading that slow. haha. 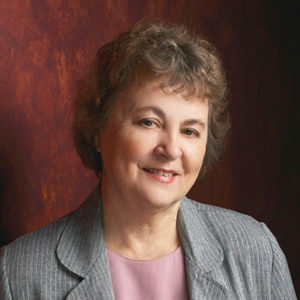 She moves her characters skillfully through their paces. Heartbreaking situations and oddball characters are a part of the colorful backdrop that allows Marta to show off the grace and poise she developed as a young ballerina.